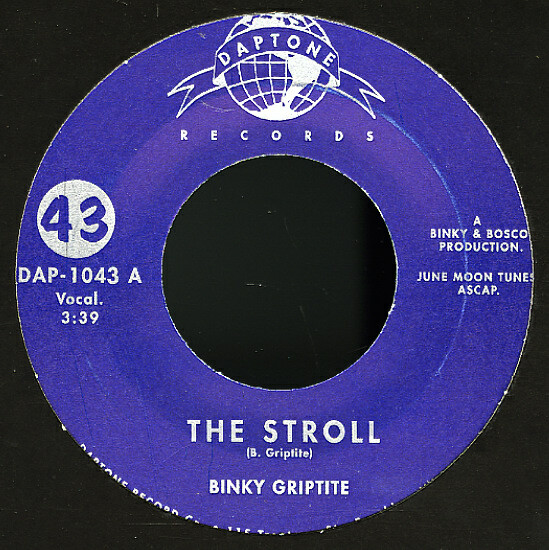 An uptempo funk gem from Binky Griptite – guitarist for the Dap-Kings, so you know he has true school funk & soul in his blood, but he's also a pretty effective vocalist – totally driving it home on "The Stroll"! "The Stroll" is straight up, unambiguously about the world's oldest profession – getting down and dirty in the vocals, and in the Dap-King funk backdrop – with hard hitting drums starting it out, clearing the path for a blast of horns, a killer bass groove, and some of the best funky guitar work we've heard on a Dap-Kings recording to date! The guitars get more room to groove on Part 2, with duel leads going at it. Amazing stuff! Bring on a Binky led full length, already! © 1996-2019, Dusty Groove, Inc.